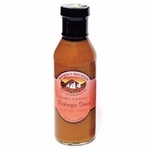 Mother’s Mountain Aunt Ruby's Red BBQ Sauce, a family favorite has that sweet & spicy kick to enhance your finest barbecue chicken, ribs, burgers and steaks. 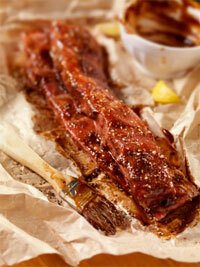 Try Aunt Ruby’s Red with all the kick and lip-smacking flavor to heat up chicken, ribs or steaks. This sauce has endured many finger-licking gatherings.